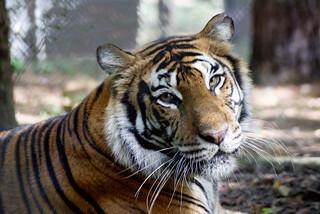 Helena has been volunteering with us for more than a year, and she has participated in many events and different aspects of Carolina Tiger Rescue. 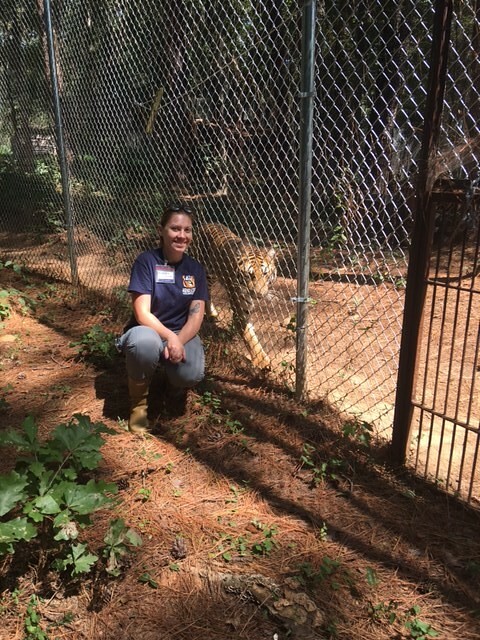 We love Helena’s dedication to animal care and her strong work ethic. Her positive attitude and enthusiasm for the animals is infectious! Helena has also volunteered at the Black Tie and Tails Ball, and we’ve enjoyed her company at potlucks. We are so lucky to have her with our team! Helena enjoys watching Mila and Riley Tigers play around!